The Sikorsky H-19 Chikasaw (aka the S-55, Westland Whirlwind, HO4S,) was a multipurpose helicopter from the 1940s. It was predominantly used by the US Air Force and Army, but it was also produced under license by Westland. The S-55 is notable for its development, which did not rely on a government contract or any form of government funding. Still, the S-55 was ordered by every branch of the US military. Each with a different designation, since uniform designations only came into effect after 1962. The S-55’s design incorporated a number of innovations. These included flapping hinges on the rotor blades nine inches from the center of the rotor. This improved the flight characteristics of the S-55 specifically when it comes to transport flight missions. The engine placement was forward of the main cabin and below the crew compartment, which also provides for better transport performance and easier maintenance. While early variants were equipped with a Pratt & Whitney R-1340-57 with 600 horsepower, the US Navy felt there was too little power and upped the power to 700 horsepower with the Wright R-1300-3. Interestingly, the marine variant HRS-2 had 1-pound rocket motors in the tip caps of the main rotor. This added 35 pounds of thrust per blade. The system added 67 pounds to the aircraft’s weight. The S-55 was a highly successful and really was the first true transport helicopter used by the US armed forces. There were at the very least 37 main variants with some sub-variants as well for good measure. The helicopter was officially retired by the US Navy in 1969 and a total of 1728 were built during the helicopter’s operational life. 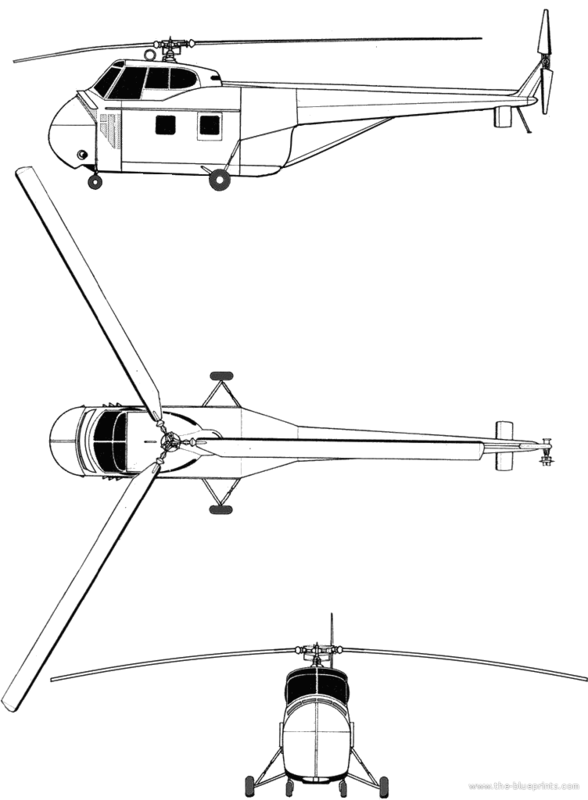 After its military retirement interest from civilian customers was such that Sikorsky provided conversion kits that could be applied to military surplus units to make them suitable for civilian use. 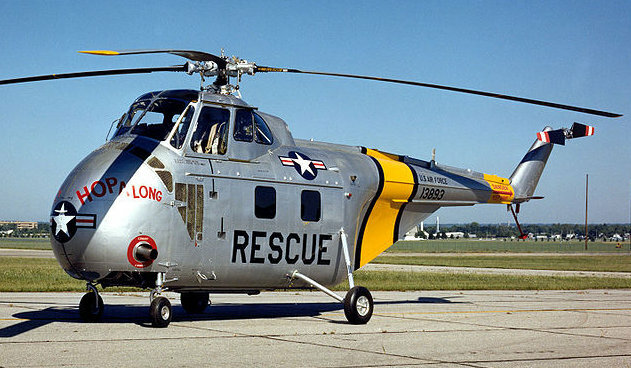 Do you want to comment the Sikorsky H-19 Chickasaw / S-55 / HO4S - HRS helicopter?